South-American bumblebee story makes news headlines. And Biobest. 9/04/2018 - The worrying decline of wild insect populations and of (honey)bees rightfully attracts regular media coverage. The story about the rapid decline of the Chilean-Argentinean bumblebee species Bombus dahlbomii is no exception and just made headlines in Belgian and Dutch newspapers. This beautiful, large bumblebee species used to be quite common in Chile and parts of Argentina. Some 35 years ago, Chile started importing the large garden bumblebee (Bombus ruderatus) from New Zealand and later the buff-tailed bumblebee (Bombus terrestris) from Europe. Both species, exotic to Chile, established in the wild and populations of the native Bombus dahlbomii started dwindling. Even in parts of Argentina, where importation of European bumblebees was never authorized, the European bumblebee is gradually gaining the upper hand over Bombus dahlbomii. At Biobest, we take this issue to heart and we believe it is important to share our view. “The commercial use of bumblebees as pollinators in horticulture has also been one of the driving forces behind the development of solutions for biological pest control. Many chemical pesticides indeed have a strong negative impact on bumblebees. 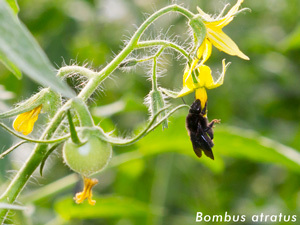 Bumblebee companies did pioneering work and provided modern growers with sustainable solutions to eliminate or at least to cut back severely on the use of chemical pesticides,” says Jean-Marc Vandoorne, Biobest’s CEO. “The decision, at the time, to authorize and import exotic bumblebees in Chile has not been the right choice. With the knowledge of today, a different decision would have been taken. For Biobest also, respect for local biodiversity is of utmost importance in all our policy decisions. Our industry sector makes an important contribution to a more sustainable agriculture with less pesticides. I am convinced that we will continue to increase that contribution while fully respecting biodiversity”. Biobest, headquartered in Belgium, is a leading player in pollination and biological control. The company reaches out to growers in over 60 countries. Through its subsidiaries, the company has production sites, sales and technical support staff strategically located across the globe for effective worldwide service. Biobest distributors in many countries are key partners with whom the company works very closely to help customers achieve their economic and ecological goals. For more information, please contact lise.verachtert@biobestgroup.com.